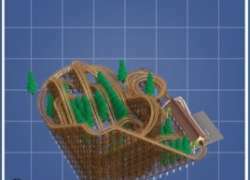 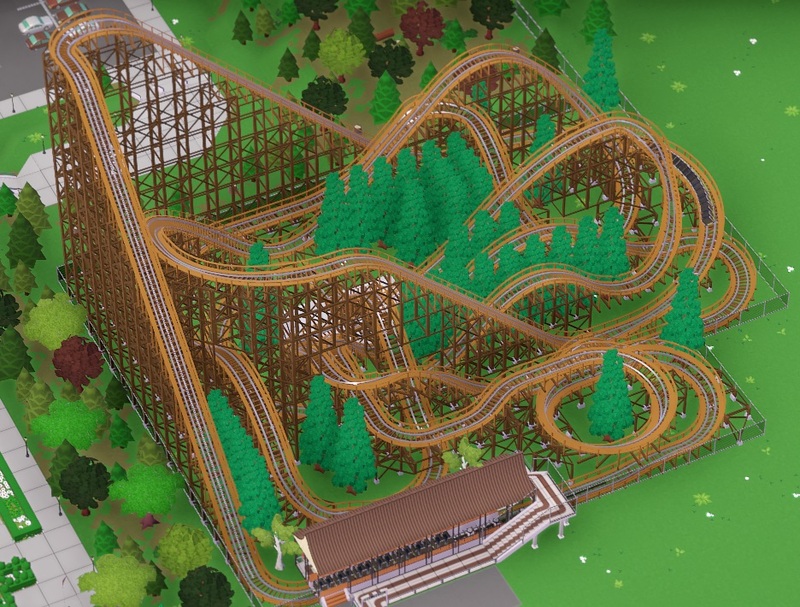 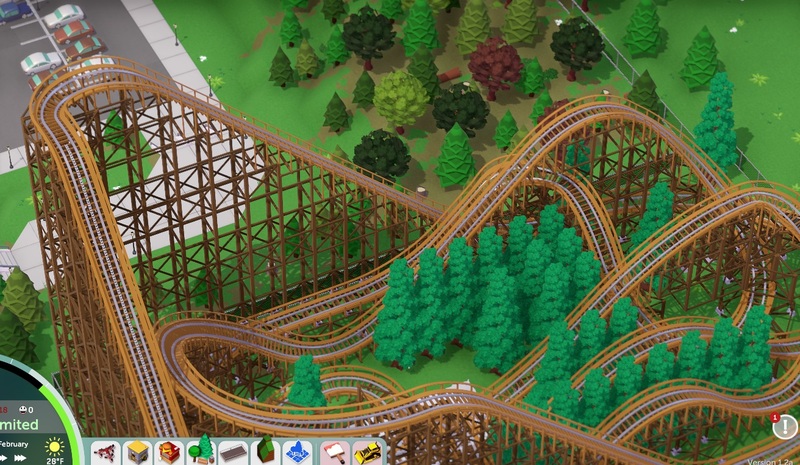 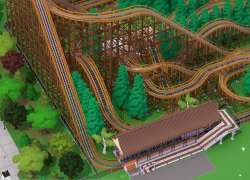 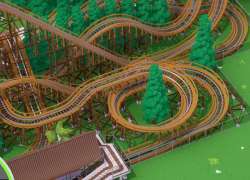 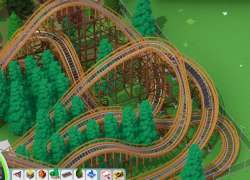 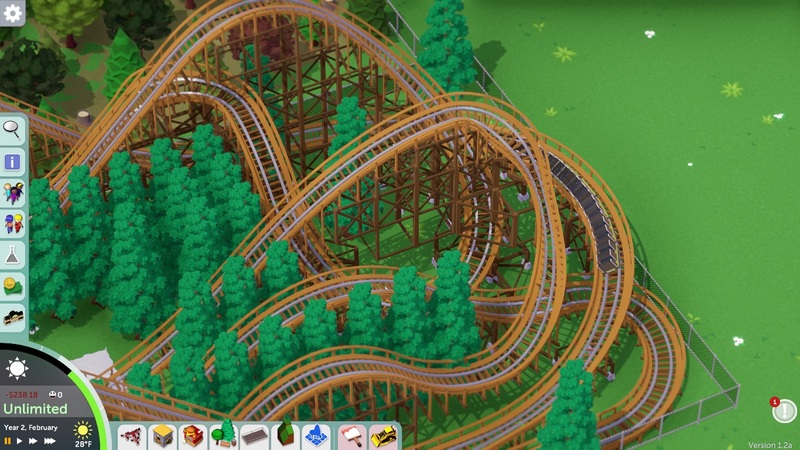 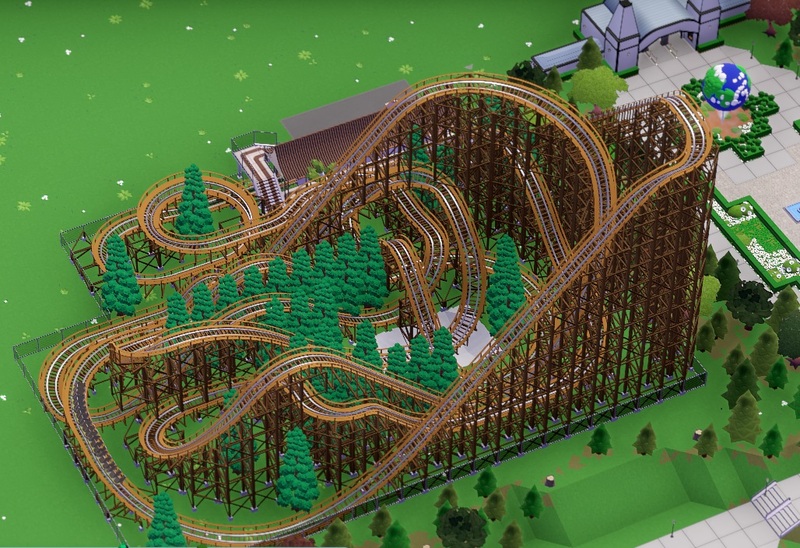 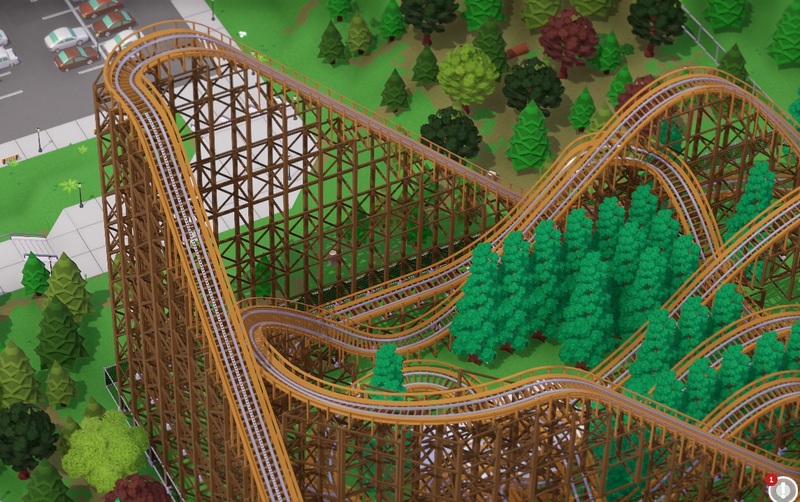 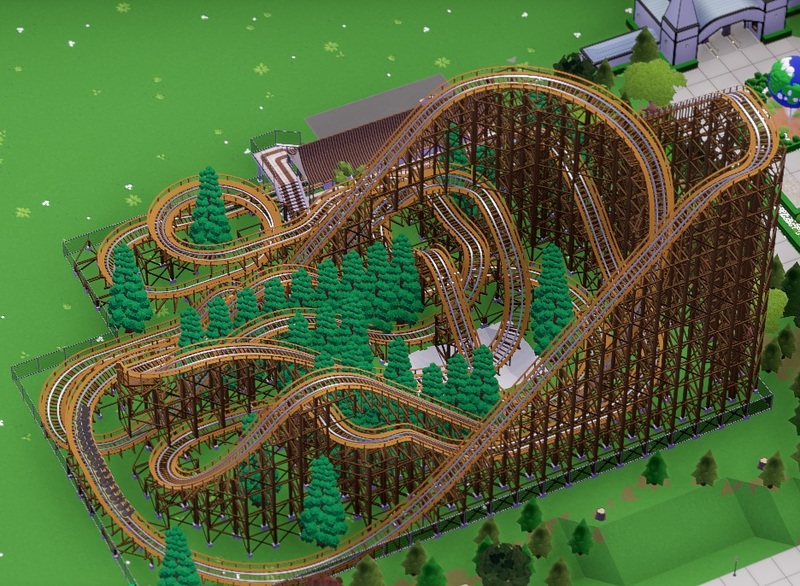 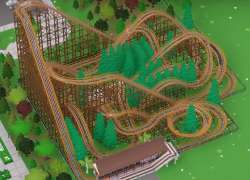 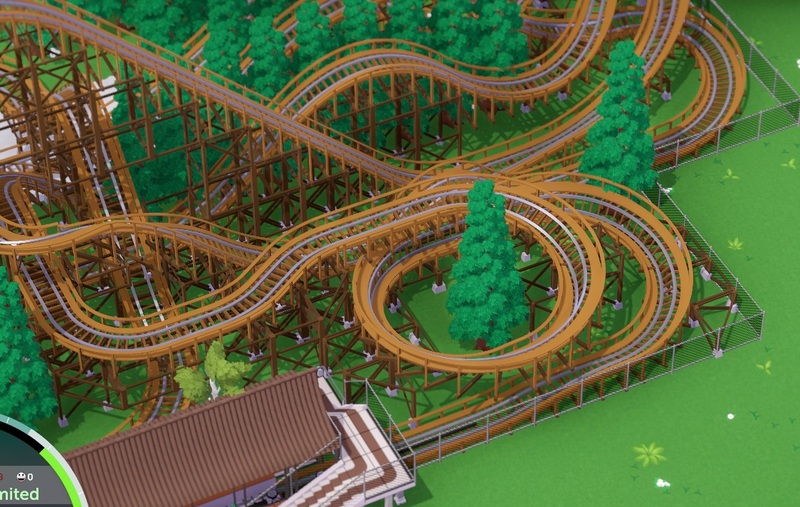 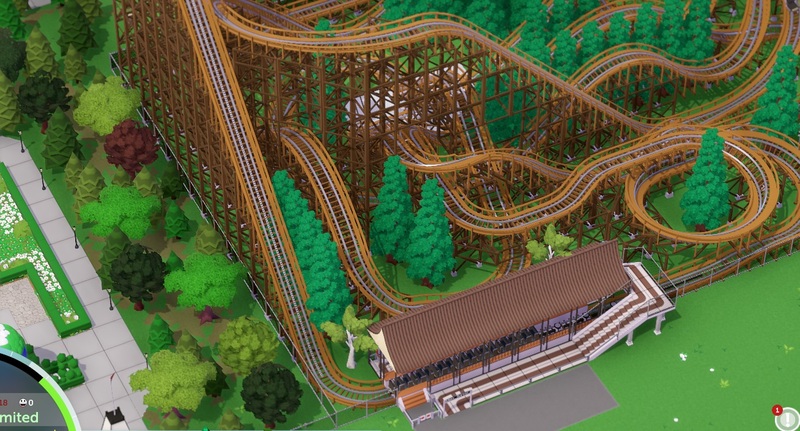 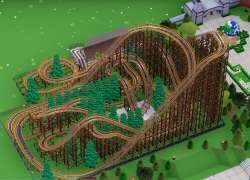 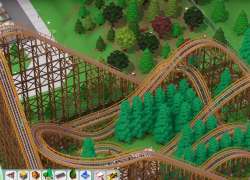 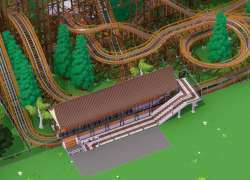 A thrilling wooden roller coaster with a themed station, scenery and fences. 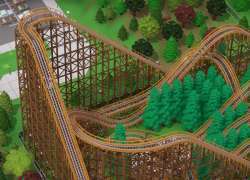 It has a drop of 113 feet and reaches speeds of 57 mph through thrilling hills and sharp turns! 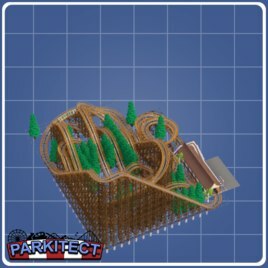 You may want to lower ground and put down a different type of ground or and where there is a tunnel.